China demanded her immediate release, and a former Canadian envoy to China warned the case might lead to retaliation by the Chinese against American and Canadian executives. Justice Department spokesman Ian McLeod said Meng Wanzhou was detained in Vancouver, British Columbia, on Saturday. Meng is a prominent member of Chinese society as deputy chairman of the board and the daughter of company founder Ren Zhengfei. McLeod said a publication ban had been imposed in the case and he could not provide further details. The ban was sought by Meng, who has a bail hearing Friday, he said. The Wall Street Journal reported earlier this year that US authorities are investigating whether Chinese tech giant Huawei violated sanctions on Iran. Huawei issued a statement saying Meng was changing flights in Canada when she was detained “on behalf of the United States of America” to face “unspecified charges” in New York. “The company has been provided very little information regarding the charges and is not aware of any wrongdoing by Ms. Meng,” the statement said. Huawei said it complies with all laws and rules where it operates, including export controls and sanctions of the United Nations, the US and European Union. The Chinese Embassy in Ottawa said her human rights were violated and demanded she be freed. “The Chinese side firmly opposes and strongly protests over such kind of actions which seriously harmed the human rights of the victim,” the statement said. A US Justice Department spokesman declined to comment. In April, China appealed to Washington to avoid damaging business confidence following the Wall Street Journal report that US authorities were investigating whether Huawei violated sanctions on Iran amid spiraling technology tensions. The escalating trade war is threatening world economic growth and has set global investors on edge. David Mulroney, a former Canadian ambassador to China, said US and Canadian business executives could face reprisals in China. Wenran Jiang, a senior fellow at the Institute of Asian Research at the University of British Columbia, said the Chinese will read the arrest on the same day as the Trump meeting with the Chinese leader as a planned conspiracy to do damage. 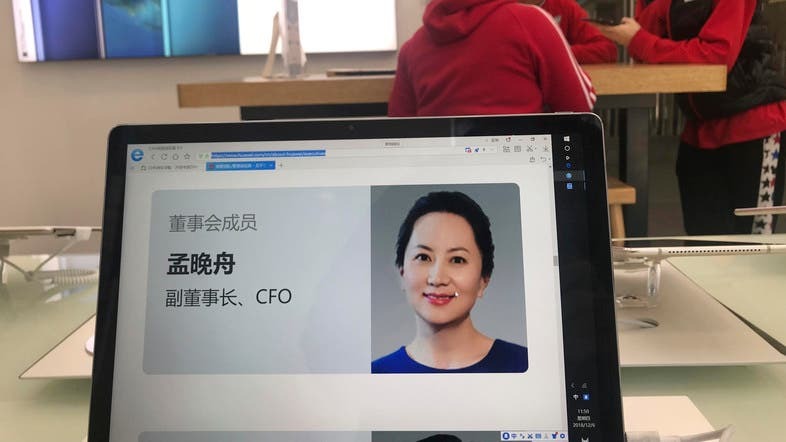 US Sen. Ben Sasse, a Republican member of the Senate Armed Services and Banking committees, said Huawei is an agent of China’s communist party and applauded Canada for the arrest.